Enjoy the process of reaching your goals. When you see results, discipline comes easy! 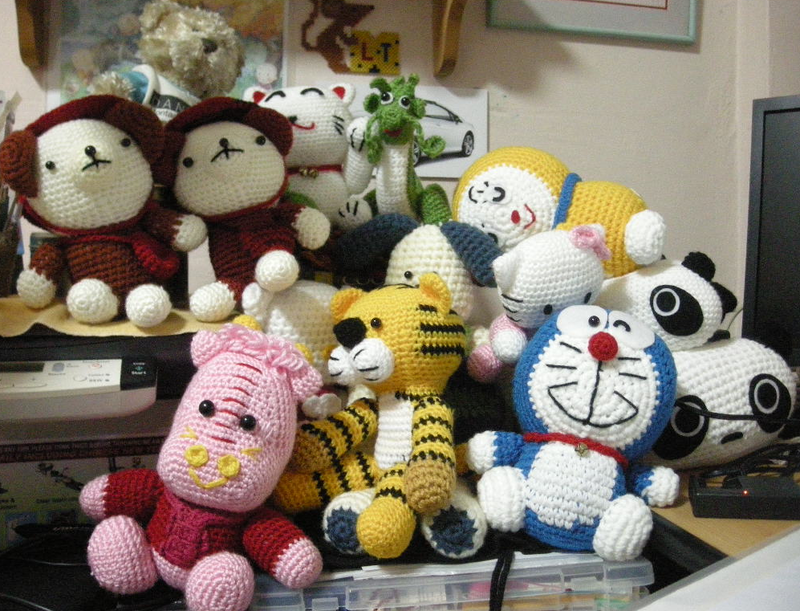 Doing crochet project is like living your life. Begin with an end in mind. If you try to visualize the results in your mind during the process, you can easily find the ways to reach your goals. So enjoy every moments during the process, be it doing a hobby craft or achieving what you want in life. I have revamped this website of mine to write things that I like to do: my hobbies, mainly on crocheting. Sorry that I have closed down my Live Life to its fullest site as I do not have time to maintain it at the moment. Maybe in the future I hope. Are you still living your life happily? If not, what is stopping you? Stop pondering what to do next and action to start. Be brave to accept the challenge along the way. What is the path to true happiness? How far must you go to find happiness? You need not go very far at all. For happiness is always inside you, ready whenever you are. No object, no person, no circumstance will make you happy. You are always happy when you decide to be. The good things in life do not cause happiness. It is precisely the other way around. Allow happiness to flow out from you, and the good things in life will surround you and fill your world. Choose to be happy, with no conditions imposed upon that happiness, and you’ll create the ideal conditions for your life. Happiness is a beautiful gift you can give yourself no matter what. Give it freely and it will change your world. I couldn’t agree with you more. Although sometimes it is easy to forget and we get locked in that cycle of unrealities. What i like to do to remind myself,(well there a lot of things, ha) but one that sticks out in my head right now is if I was going to die in one month, how would I treat people, how would I go about the world and interact with it. That always seems to center to me back to what’s important and what’s not. Thanks for sharing your experiences. Luving the blog! Thanks. Have a happy new year to you and family too. Thanks for your tips… You have a nice blog. Ever since , you called yrself … Pear… ?